Bucky Bingo is possibly the coolest place to play online bingo right now and we probably have Bucky himself to thank for that. That smooth talking James Brown wannabe runs the show and has got some great promos running at the mo so we thought you might like the hear about them. Every day Bucky Bingo players can win up to £7500 in the daily Bingo Linx games. There’s one at Noon worth £1000 another at 6pm worth £2500 and there’s a final game at 10.30pm which has a £4000 prize attached to it. There’s also a special £10k Bingo Linx on the last Sunday of every month so that’s well worth a look. Players who log on and play at Bucky Bingo on Tuesdays could be lucky enough to receive a cash bonus on Wednesday in the Bounce Back Tuesday promo. These top ups range from £5 to £50 with a guaranteed £50 for one player every week. On TV Thursdays you can win a 22 inch HD ready LCD TV which features Freeview and a built in DVD player. This little beauty has an HDMI input so you can even hook it up to a Blu Ray player or Playstation 3. In addition to these offers Bucky even puts on 15 hours of free bingo each week and another 4 hours at the weekend. Visit the BBs Free Room between 11am and Midday and 11pm and Midnight for your free bingo fix and on Friday you get an extra long session from 6pm til Midnight which is a great way to start your weekend. Bucky Bingo welcomes new members by doubling their first deposit up to a whopping £250 so you can really explore the site with a chunky amount of money. 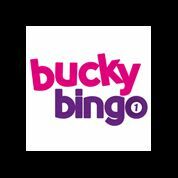 love bucky bingo, it makes me laugh every time i logg in, great site, cool roomies and good chat hosts, great prize money too lol.